Malacca is a land with beautiful relics, colonial remnants and sumptuous fare. Experience all this by a tour and the best tour is the Malacca Duck Tour. 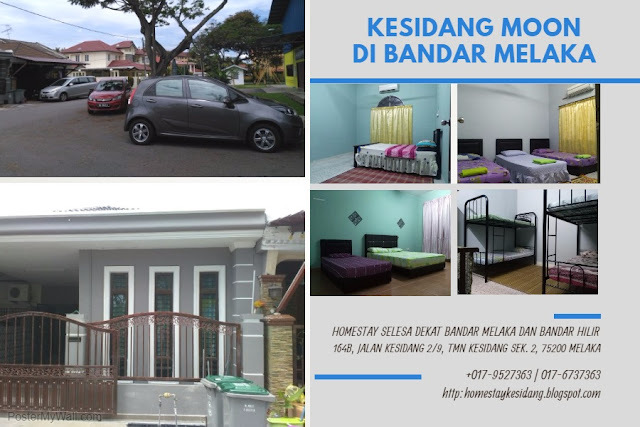 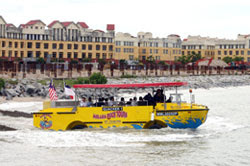 Enjoy the sunshine yellow kiosk of this Malaccan tour which stands obstinately beside Menara Taming Sari opposite the Dataran Pahlawan Shopping Complex. 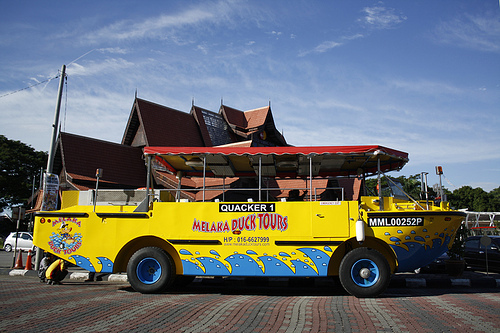 Malacca Duck Tour is the first land and sea escapade, this tour duck-bus - an amphibious transport truck is definitely the most entertaining way to explore Malacca. 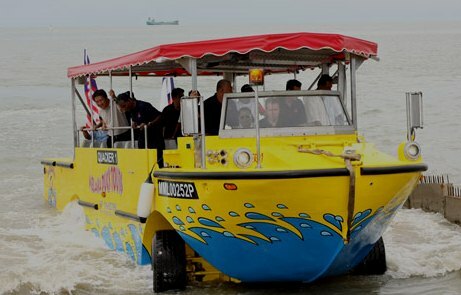 Visitors are able to enjoy a 45-60 minutes ride that would cover several interesting sites such as A'Famosa Fort, Malacca Sultanate Place, Dataran Pahlawan, Mahkota Parade and Pulau Melaka before the duck enter the sea at Pulau Melaka and cruise towards famous Sungai Melaka. 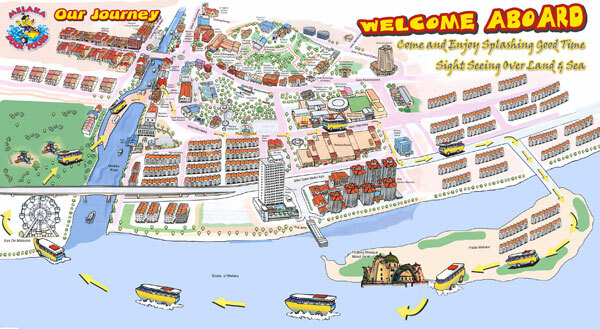 Visitors can also enjoys the view of floating Masjid Selat. 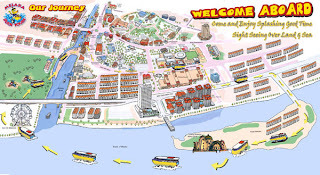 This tour will definetly give visitors a unique view of the city's history and charm without taking twi separate rides.